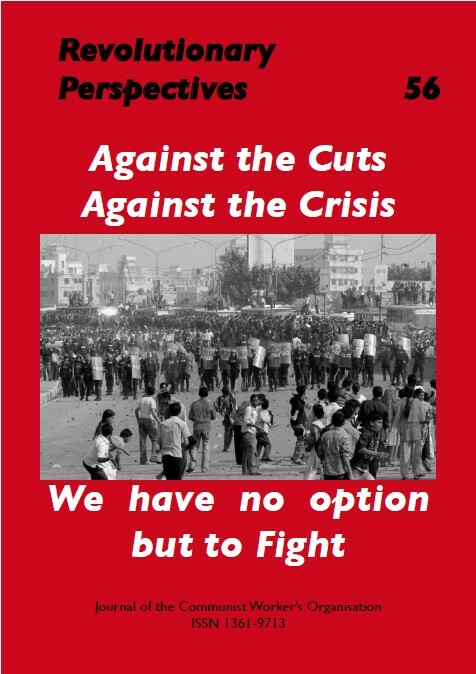 2011 promises to be a dire year for workers everywhere. The austerity plans already announced in the old capitalist countries are beginning to bite. The introduction of the 20% VAT rate alone in the UK has sent the cost of living spiralling. And the real cost of government cuts in job losses will be revealed. Already in Manchester the council had upped its job cuts from 1,200 to 2000. Other councils will be forced to do the same. But this is not just the result of a banking crisis of the last three and half years as the Labour left and the trades unions tell us. For decades the world’s capitalists have been driving down wages, worsening job security and increasing exploitation by reducing the workforce and speeding up production. The huge shift of capital and jobs to the “emerging” nations has led the bosses to call for a “global worker” to match a global capital. This means a worker who will work for little (and not even subsistence in some places as our article on Bangla Desh reveals). Even in the old capitalist states where workers have fought and struggled for welfare and health benefits for centuries the standard of living falls little by little every year. The purchasing power of wages here is less now than in 1973. In this situation workers have no choice but to fight and a remarkable globalisation of struggle is taking place. Basically people from Tunisia to Bangla Desh can no longer go on living in the same situation of poverty and despair with no future. And it is the lack of a future which has stimulated the struggles in Europe, particularly amongst students (who have even played a major role in the fight against pension cuts in France). If (and it is a big IF) workers and students can fight together and develop their autonomous struggles more widely, 2011 could turn from a year of grief into one of hope. But we should also be aware what capitalists are preparing. Whilst they claim that a “recovery” is taking place (stock markets are back to 1999 levels) it has been brought about on the backs of the workers. In September 2010 the Financial Times explained the secret of this recovery “a big shift from labour to capital”. And as the article on Ireland in this issue warns the more we give the more they will demand.